I made these for myself ! And I can not wait to wear them – Great for yoga & lounging, will look great with boots as well! Pattern Notes: If you need to adjust the stitch count, you will have to alter the pattern. To create smaller boot cuffs, you can take a purl stitch out of the pattern and if you need a bigger cuff add stitches to the knit 4 section. 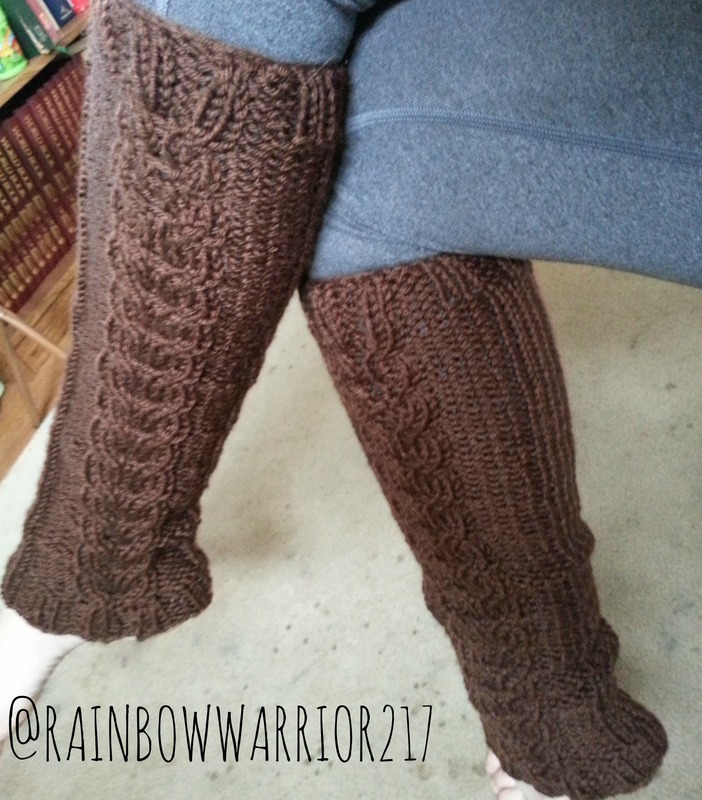 I designed this pattern so that the cable appears on opposite sides of the leg warmers so if you need assistance deciding how to adapt this pattern for your supplies don’t hesitate to ask! I respond to questions on here as well as my YouTube, Ravelry & Facebook. You can connect with me on any form of social media you prefer. Send me pictures of finished projects – they’re my favorite!!!! 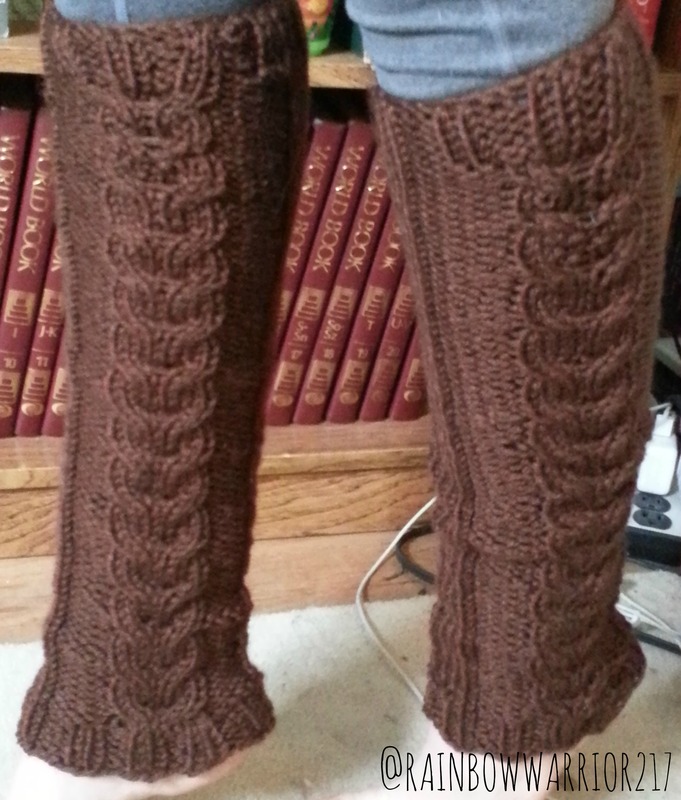 Posted in Knitting PatternsTagged knit pattern, knitting, leg warmersBookmark the permalink. do you have a PDF download for this pattern? Is it possible to do the cable part in 1 color and rest in a second color ? Hi, I’m new to knitting and really would like to knit these for my 5 year old whose leg circumference is 8-8.5inches. How do I adjust the number of cast on stitches?